The landscape of online marketing is becoming more competitive by the hour. To survive, every company needs to have an edge of some sort. Small businesses need an edge just to make a name for themselves. Big enterprises need an edge to win over more customers and retain existing ones. The harsh reality is, it takes a lot more than a great product or service to succeed. So what do you need? A strong content marketing strategy. It’s a golden opportunity to show off your unique voice and demonstrate how you can improve the lives of your customers. 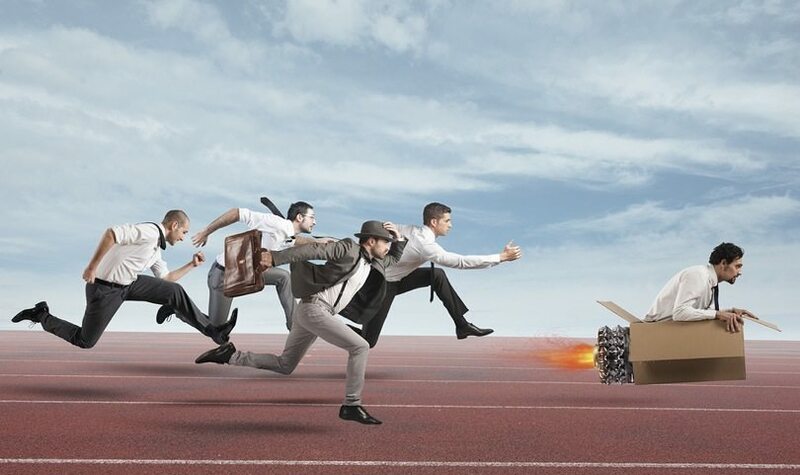 Here are four ways you can use top-notch content to push past your competitors. There are many ways to keep tabs on your competitors. For starters, follow them on social media, sign up for their newsletters or set up Google Alerts so you can know what they’re doing. Every successful content marketing strategy starts with due diligence. Breaking down your competitors’ metrics will give you a better idea of what readers and consumers within your industry are interested in, so you can create your own material accordingly. It’s extremely important that you don’t try to imitate your competitors approaches based on your research. Instead, learn from their strengths, and use their weaknesses to your advantage. What makes your brand different from the next one? What precisely does your company stand for? Perhaps one of the biggest factors in the task of setting your business apart from competitors is having a clear, defined voice to supplement your brand’s personality. General Electric is well-known for their clever personality. 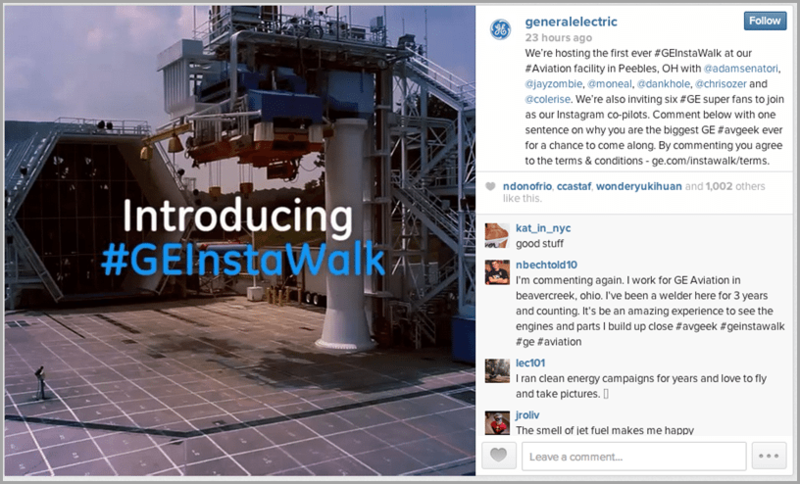 For example, their #GEInstawalk campaign gave influencers the opportunity to visit GE facilities and share their experiences on social media. By creating an engaging call to action, they provided consumers a rare, behind-the-scenes look at their operations. In turn, they conveyed a strong image of transparency and professionalism, along with a hint of wittiness. At the end of the day, your brand personality is what makes you seem human and forms the foundation of building trust for new and potential customers. People want to know that you go beyond just products or services. What will the content you create sound like? Will your tone be casual, informative, funny or authoritative? What is the emotional reaction you want from your audience? When regulating your brand messaging and voice, always keep your intended audience in mind. And of course, you need to show consistency. If you’re constantly changing the tone, composition and character of your content, no one will be able to figure out your true brand identity. It does not get much more authentic than user-generated content (UGC). 93% of consumers surveyed by Offerpop said that content other customers created egged them on in their purchase decisions. 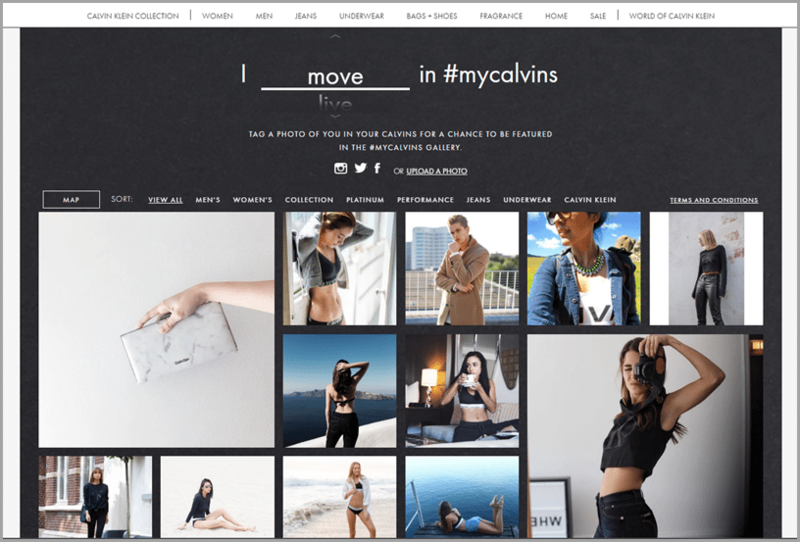 For example, Calvin Klein encourages users to upload photos of themselves wearing Calvin Klein products to social media using the #MyCalvins hashtag. The best ones ultimately get promoted to CK’s official website. The beauty of this campaign is that it connects everyone from high-profile celebrities to everyday consumers with the brand by adding a personal element. Of course, CK isn’t the only one turning to their audience for content. Here are some of the best examples of brands using user-generated content to increase customer loyalty and engage with fans in real-time. UGC is a great way to build something few of your competitors start with – the trust of their customers. Seeing people similar to themselves interacting with a company creates a social proof. A simple photo or positive review can be more valuable in growing your audience than almost any other element of your content marketing strategy. The internet is saturated with content. With people facing constant information overload, it’s natural that some content is forgotten minutes after being consumed. Unfortunately, this does nothing for your brand. When you produce material that requires the consumer’s undivided attention and interaction, chances are they will see it till the end, and it will leave a lasting impression on their minds. Your content needs to engage your audience right out of the gate and bridge the gap between attention span and information overload. Interactive content is a great way to accomplish this. According to a Demand Metric survey, 70% of marketers share the opinion that interactive content effectively engages buyers. Interactive content is highly dynamic in capturing and retaining attention, and there are tons of interactive platforms available to help you create interactive content in various formats. Quizzes, polls and surveys are a few that spring to mind. Buzzfeed, of course, is notorious for creating captivating quizzes. They are usually quick to complete and encourage social sharing. 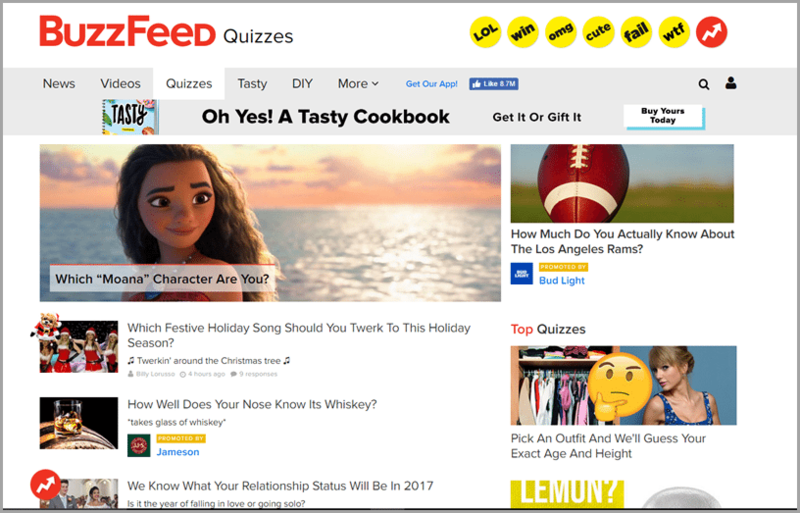 With its healthy blend of serious and light-hearted material, Buzzfeed is a perfect example of how to use interactive content marketing. Interactive content is a platform that companies cannot afford to miss out on. Perhaps the biggest advantage is that the data harvested can be used to create future pieces that evoke deeper emotions from consumers. Consider content marketing a constant work-in-progress. A collaborative, user-focused content strategy is your first-class ticket to gaining the upper hand in any brand rivalry. Regardless of where you stand in regards to competitors, content marketing can do wonders to put you ahead of the game. The only condition is that each and every tactic of yours should provide a deeper understanding of your brand to your target audience with a clear call to action. The key to creating memorable content is being innovative. Don’t be afraid to think outside the box to build and promote a unique brand experience. You never know when you might strike gold!